If you have ever been on a weight loss journey, you'd know the struggle of controlling those sudden hunger cravings. Losing weight is not an easy task. It requires a combination of healthy eating and physical exercises. If even after maintaining a fairly healthy diet, you're facing problems in achieving your weight loss goals, then it is probably time to bring a check on what you've been eating and in what form. There are times when we often end up consuming foods that add to the calorie load, solely because of the way they are prepared. According to Dr. Shikha Sharma's book, '101 Weight Loss Tips', "When it comes to weight loss, it's all a matter of choice. One should choose healthier and low-calorie options rather than going for the fried ones." It's okay to give in to your cravings sometimes; however, one should always do mindful eating and replace fried foods with roasted ones. Weight loss is all about hard choices. In order to shed those extra kilos, it is important to give up on fried foods that are just going to add on that calorie load. Instead of going for that fried aloo bhujiya, choose roasted or baked namkeens instead as they are quite less in calories. While selecting the roasted namkeens, go for the unsalted ones, as this way, you'll save yourself water retention and gaining extra water weight. Bhelpuri is any day a better bet than those deep-fried potato chips. Made with puffed rice and a melange of Indian spices, bhelpuri is not only immensely pleasing to the palate, but quite favourable for your waist line as well. You can also go for roasted soya or bran papri. There is no denying the fact that papads are extremely appetising. 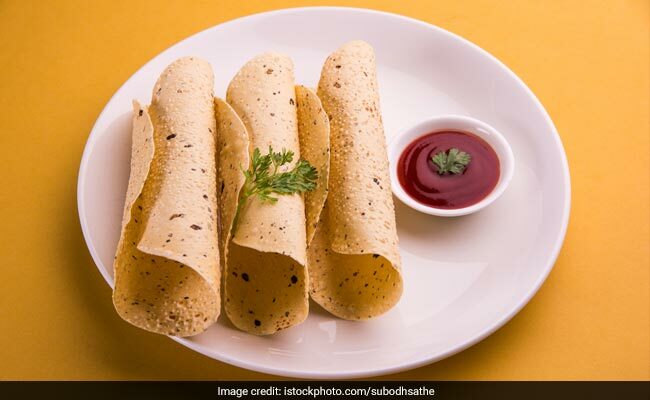 But, in order to lose weight, make mindful choices and choose roasted papad instead of deep-fried papad. Sprinkle a bit of black salt on roasted papads or you can even add chopped onion or tomatoes on it.